Johnston Fieldhouse Renovation - PWArchitects, Inc. 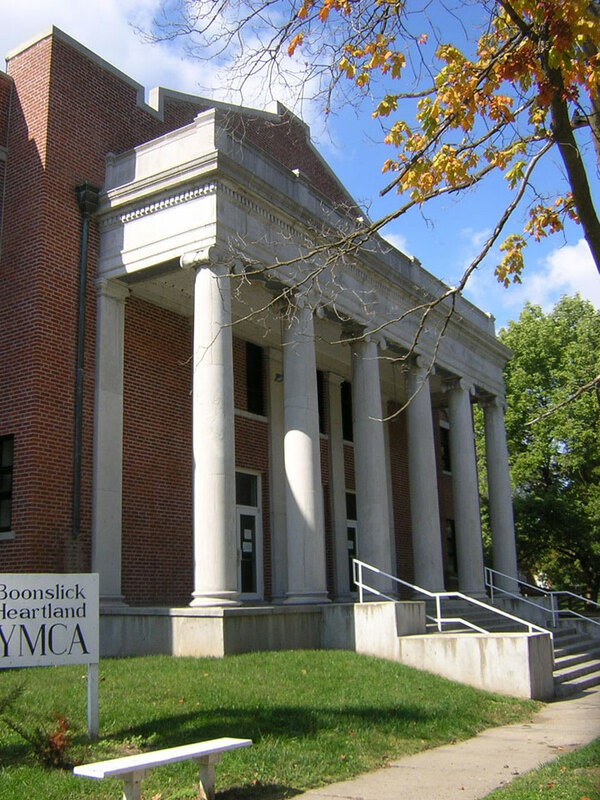 Formerly a part of the Kemper Military School, the historic 54,000 square foot Johnston Field House is currently home to the Boonslick Heartland YMCA and contains a cardio theater, weight room, aerobics room, 25-yard indoor pool, indoor batting cage, office space and 3 basketball courts. The renovation projects put a new face on Johnston Field House by not only improving the building from an aesthetic standpoint but also offering advantages for the building and the community such as environmental comfort through reduction in infiltration, heat gain and humidity; enhanced air quality in the facility; energy efficiency; enhanced natural lighting within the building; noise reduction from the exterior; and abatement of most maintenance concerns due to water and air infiltration. PWA provided design services through construction administration for window replacement, HVAC renovations, pool floor replacement, interior accessibility renovations, window replacement in the pool area and roof replacement. Window replacement -The existing windows were steel frame construction with leaking and infiltration a constant problem. PWA worked directly with the Boonville Historic Committee, the Missouri Department of Natural Resources, and the Boonville Park Board to determine the appropriate response and criteria for window replacement and made recommendations. Accessibility (ADA) – The Field House had one accessible entrance to the south. The study focused on general accessibility requirements for the facility and specifically on requirements to make the weight training area accessible. The study made recommendations regarding a future elevator being considered for the northeast corner of the building. HVAC systems – Upgrades to the existing systems were planned. The study focused on recommendations for the new HVAC system on the upper level and the feasibility of re-using the existing systems in the lower level social center. Existing Pool- The existing pool was in need of some minor upgrades. The trusses supporting the roof structure were rusted and needed to be refinished, and a de-humidification system considered for the pool area. North Entry- The entry/stair tower on the North side of the building had some problems with water infiltration, due to roof leaks and foundation drainage issues. The project team addressed roofing system replacement, gutter and downspout repair and replacement, and poor site drainage conditions along the North side of the building. Structural Evaluation- The structure was evaluated from a general perspective, and more specifically for the feasibility of a future walking track above the basketball courts. General- Since no current drawings of the building were available, PWA prepared as-built drawings.